Countdowns. At times, it seems like our entire lives revolve around countdowns. Counting the days until a deployment. Counting the days left during a deployment. Counting how many days your spouse will in be the field. Counting the months left before a big move. Countdowns. Love ‘em or hate ‘em…they’re a BIG part of our lives. Counting down the time until a PCS, with the back and forth never-ending argument over whether living on or off base is better is SUCH a joy. While it’s important to look ahead and plan which day the movers should arrive, how long it will take to travel to your new destination, which schools are best for your child, or where to start sending resumes, it can be overwhelming and shouldn’t overshadow the months left at your current duty station. Before you know it, the time will come to hug your dear friends goodbye and pull out of your driveway for the last time…possibly wishing you had just one more day. Make the most of the days you have left, so when you do begin the adventure to your new home you can travel without any regrets. The list has stood the test of time. Grocery lists, pros and cons lists, Christmas lists…the list has helped guide you through the toughest times in life and become a staple for simple tasks. Now it is time to make The List of items you want to check off during your stay at your current duty station. Are there theme parks nearby that you want to check out? Is there a great restaurant you haven’t had time to try, but all of your friends rave about? Is there a neat festival that you seem to never make it to, but could have the chance to go before you move? Whether you need to make a list of habits you want to stick to or a list of new, exciting events to attend…this list will come in handy and help you enjoy all of the time left at your new duty station. In addition to listing the goals you hope to accomplish in your personal life with your family and friends, make a list of deadlines for your PCS adventure, too. The sooner you can plot out dates and times, the more relaxed you’ll be as the big move approaches. So grab a pen and paper and start jotting down everything you want to do before it’s too late! 2. Plan a girls’ (or guys’) night. You’ve held down the fort during your spouse’s deployments and duty obligations. Now it’s your turn to have some fun. Get together with the girls for a spa day or rally the guys for a poker night. Whatever it is you love to do, treat yourself to it SOLELY with your friends and tell your spouse it’s their turn to take care of the house and children. Military spouses make sacrifices, often without complaint; so before you make a move to a new duty station and begin the hunt for new friends, soak up the time left with your current neighbors and friends. You’ve been through ups and downs together, now it's time to coast through a day or weekend worry-free. Make the call right now, tell everyone to solidify a date, and let the party planning begin! 3. Get outside your comfort zone. So, you’ve lived at the same address for nearly three years; you know the postal worker by name, you have great friends and you can drive around without the GPS…because this place has started to feel like home. But, there has to be something you haven’t tried even though there is a burning desire inside to do so. Is it attending a book club meeting? Is it going to a Stroller Warriors run? Or is it volunteering with your Family Readiness Officer? Maybe it’s auditioning to sing at a worship gathering? 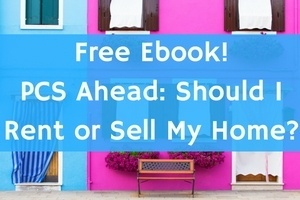 Whatever IT is…soon you will be moving to a new area of the country, trying all sorts of new things, so now is the perfect time to get in the outgoing frame of mind…plus, you don’t want to walk away from this homey place with any regrets. Sit back and think about it: what is it that you’d love to try but haven’t been brave enough to do yet? You CAN do it. You SHOULD do it. Take SO many pictures it seems like you’re taking too many pictures. Years from now, you will want to show your children what their house looked like or you may want to show a friend the perfect place to set up at the beach if they get transferred to the duty station you’re leaving behind. Sure, we say we’ll never forget some of life’s best moments, but we’re only human and our minds aren’t backed up to a hard drive. Take as many pictures as you can to help keep the warm memories alive in the future. 5. Enjoy the down time. Make sure you really take time to stop and smell the roses. 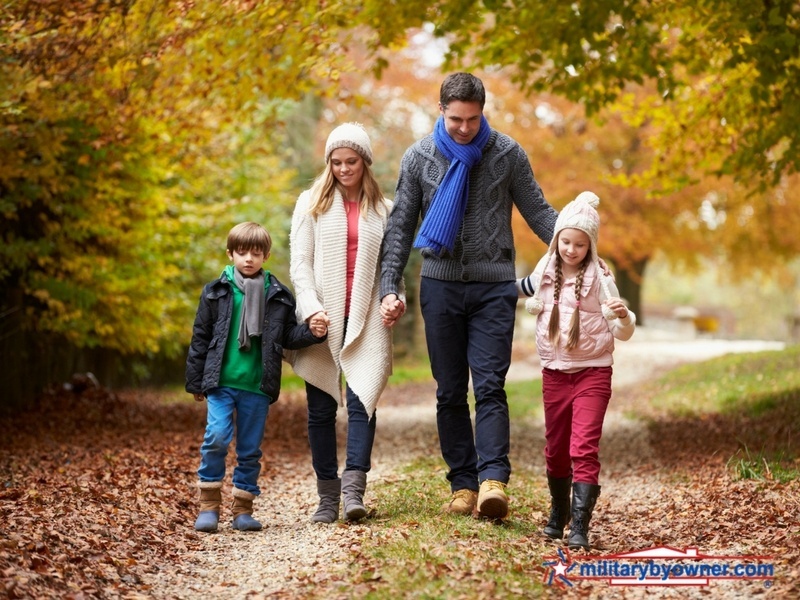 Military life can be a whirlwind, there is always an obligation to keep, an event to plan and yes, the big move just down the road. If you do get a moment here and there to relax, take it. The best way to be a loving spouse and reliable parent is to take care of one’s self first. If you’re in good health and spirits, your family will be, as well. It can be tough to do, but let the dishes sit in the sink for an extra ten minutes if needed. Invite your children to do the dusting on a Saturday morning instead of taking it on yourself. Let go of some of the responsibility once in awhile to take a breath and just enjoy being you. If you aren’t the type to put off the laundry for a day or delegate chores, promise yourself you’ll save 15 minutes a day to do something you love – whether that means watching awful reality television or working on a craft…do what makes you feel happy because once you arrive at your new destination, you will be busy around the clock getting your family settled. Take the time if it is available today. By Ashley Jacobs for Military Spouse. Used with permission.